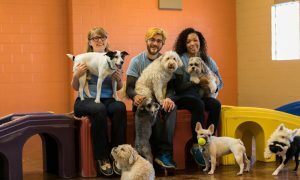 Having over 19 years’ experience in the pet services industry we have seen and done it all as far as daycare in Chicago is concerned. We know what makes your dog happy and how to send them home safe, healthy and tired from a day of play! For first-time daycare customers, we would like to extend this special offer: 5% off your first daycare package. We are open for daycare Monday – Saturday with drop off as early as 6:00 AM and pickup as late as 8:45 PM*. Please click here for for more information or fill out the New Client Reservation Form to reserve a your dog’s spot. 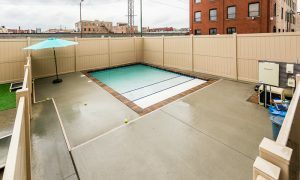 Every Saturday, weather permitting, our pool is open for Social Saturday and open swim. Cost is: $15/dog. No reservations needed, but all dogs must have updated vaccination records. Call us at 312-397-9077 for more information.